Novigrad. A beautiful town in Istria for a relaxing camping holiday. Novigrad is a town on Istria’s western coast that will win you over completely if you’re looking for a relaxing holiday in an intimate, small town setting. Novigrad, once an island, was connected to the mainland in the modern era. Numerous archaeological findings show that the area was settled in ancient times. If you enjoy exploring cultural heritage, visit Novigrad’s Lapidarium museum, whose guides will gladly share the secrets of Novigrad’s past with you. Did you know that the farthest part of Istria from Novigrad is just an hour’s drive away? In the summertime, Novigrad turns into a bustling beehive of events. Find out what’s happening in town at the local tourist office and don’t miss your favourite events! 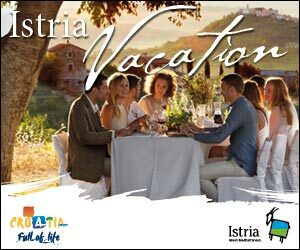 Istria is a region of many seductive faces. Get to know them on an exciting journey through our region, and discover why it is no accident that it’s shaped like a heart. Spoil your tastebuds with the seasonal specialties of Novigrad’s cuisine. Get ready for an exciting gourmet adventure! The average temperature in summer in Novigrad climbs as high as 24°C, while spring and autumn boast a comfortable average of 17°C. Discover which of the 7 most beautiful beaches in Novigrad and Istria suits you best.